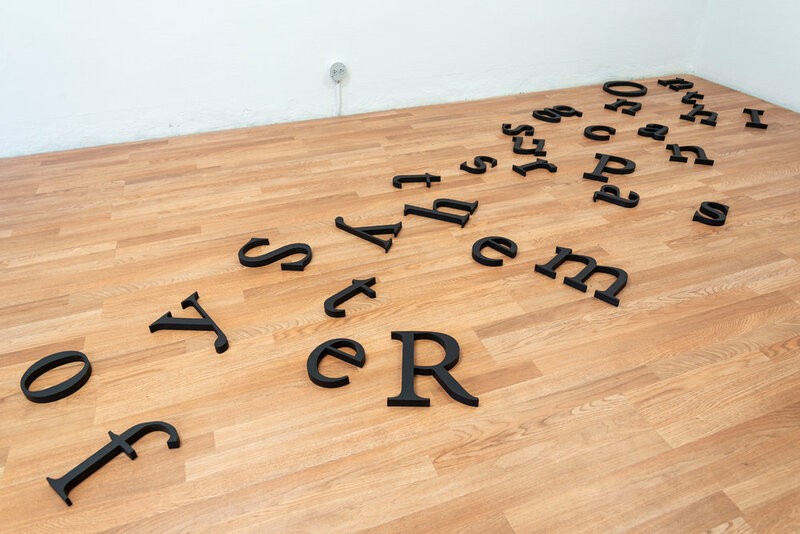 In this piece, laser cut, acrylic painted MDF letters spell out Poem 42 by EE Cummings. 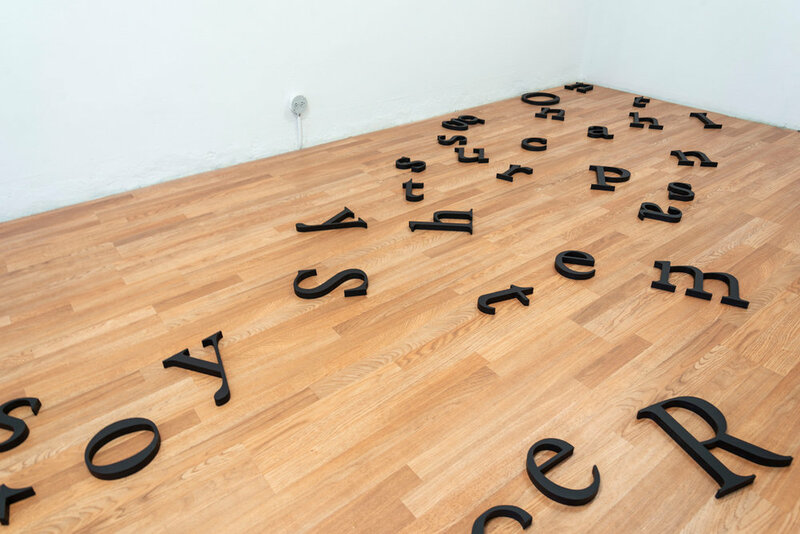 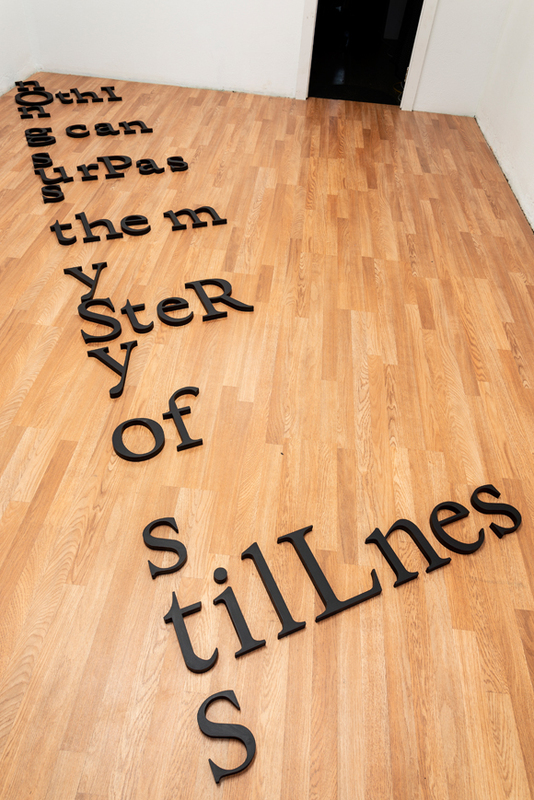 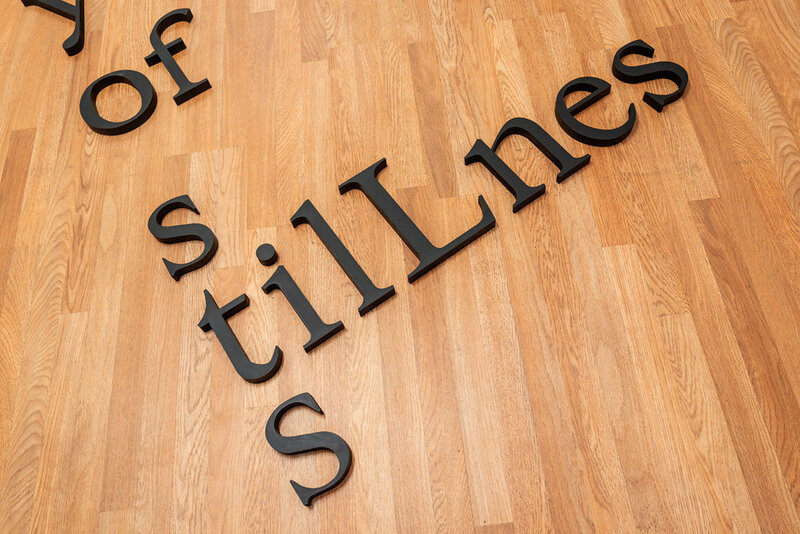 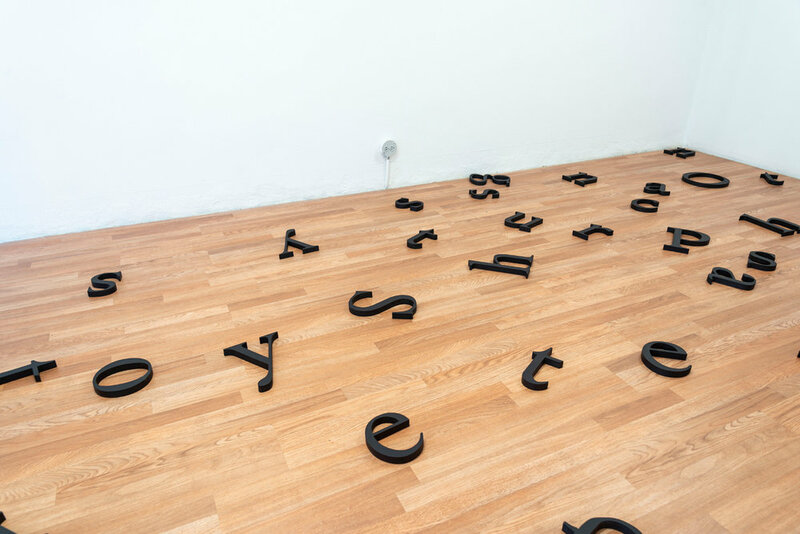 At the beginning of the exhibition, the letters are arranged on the floor as they appear on the page in the original poem. 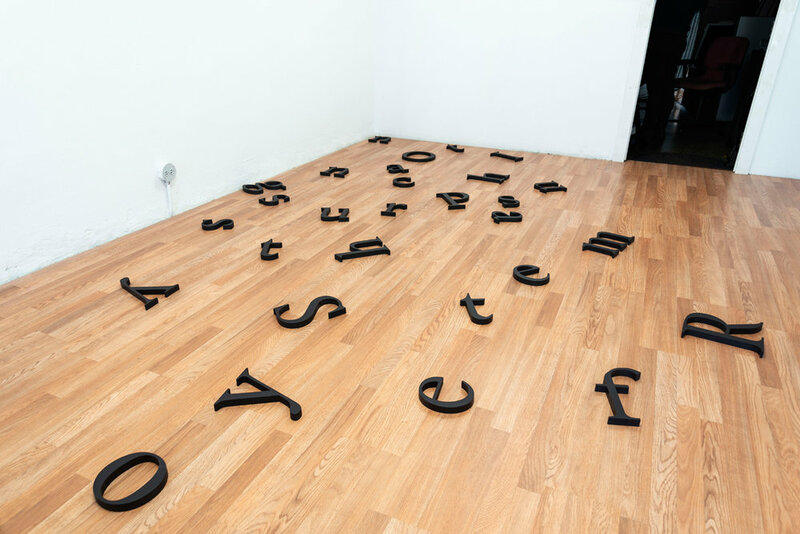 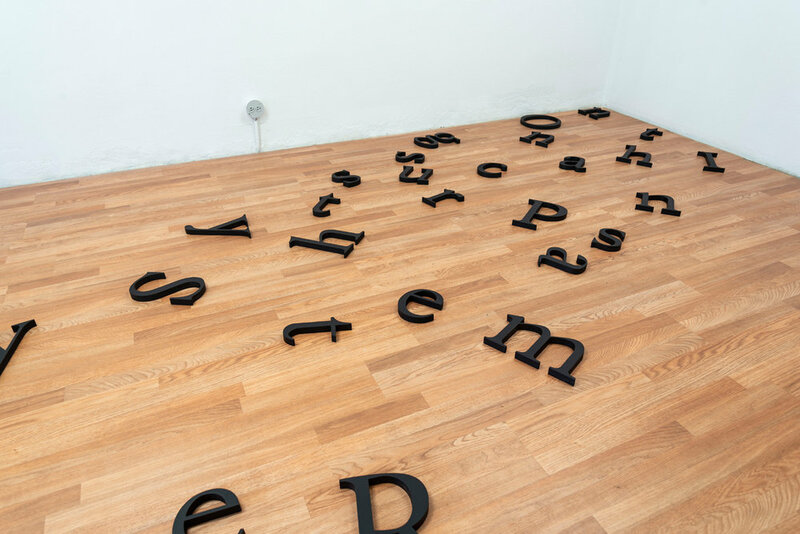 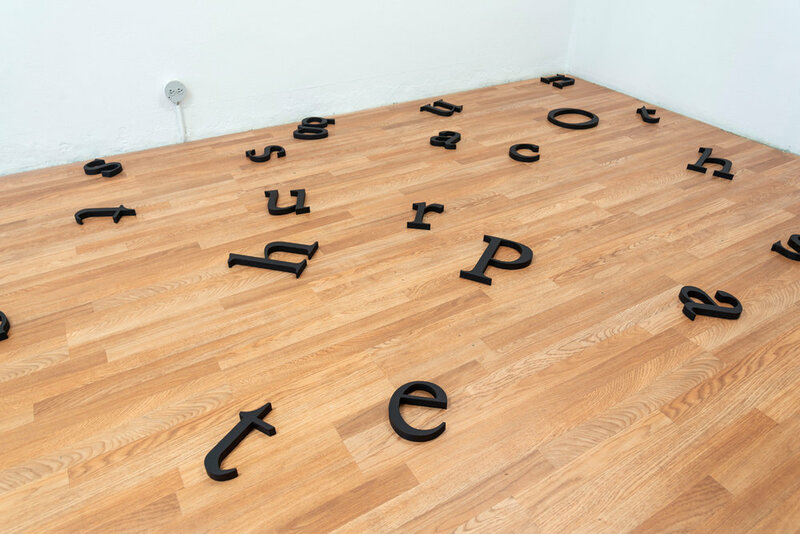 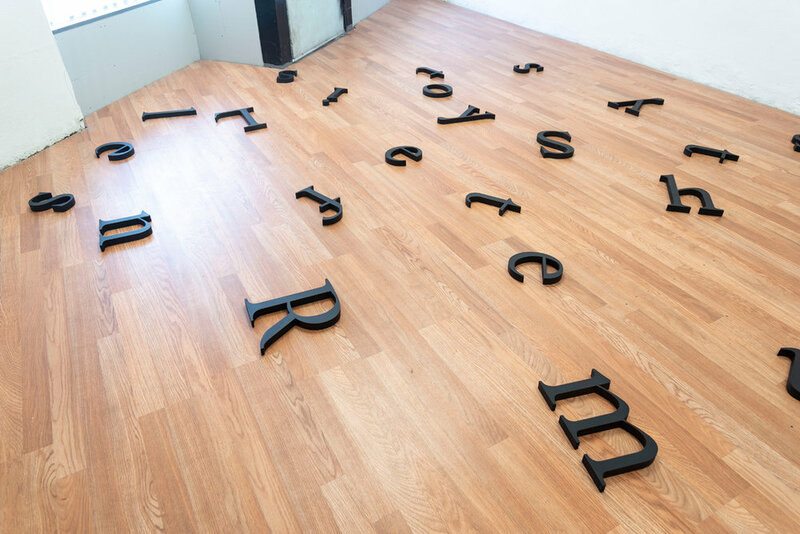 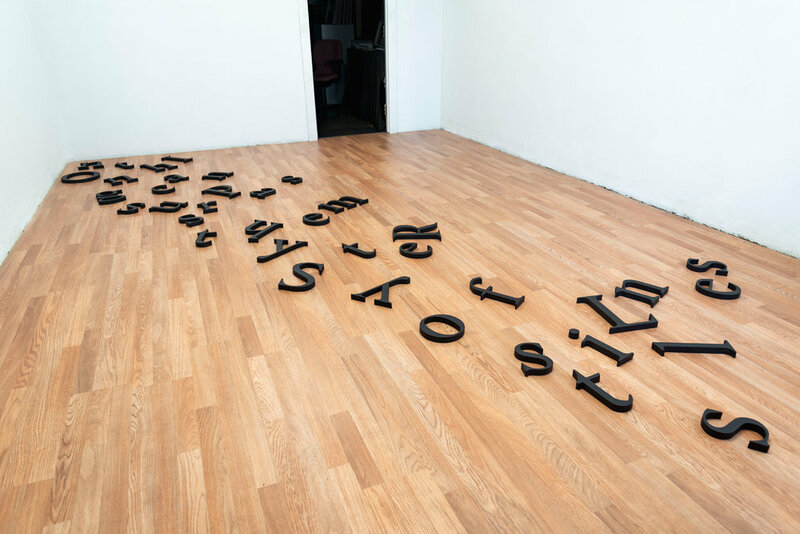 Gradually over the course of the exhibition, the letters are dispersed until they are scattered illegibly throughout the exhibition floor.